Get ready for Spiderman vs. Superman - with chain saws! That's right folks. Did somebody say Spoderman? Because I thought I heard somebody say Spoderman. 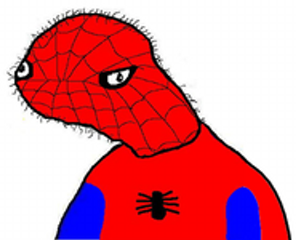 The spoderman is all shnorfled and spooby. Also it does is has a snoopy in it.